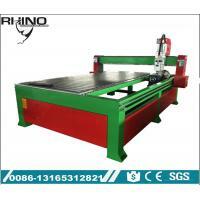 Home Companies Jinan Rhino CNC Equipment Co., Ltd.
1. 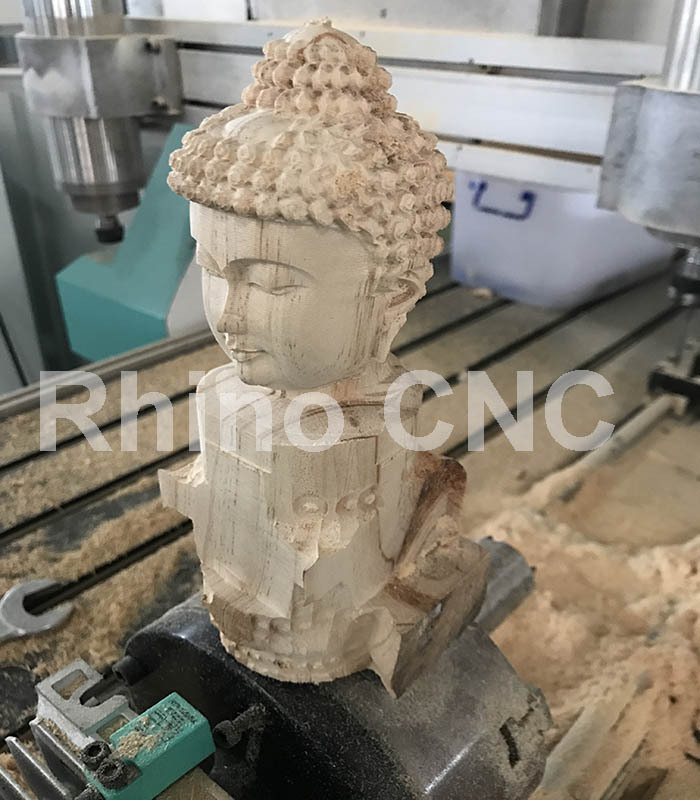 The Rhino R-1530 rotary attachment 4 axis wood cnc router is with strong function, engraving and milling, drilling, cutting, side milling, chamfering edge etc. 1. Three axises adopt import Taiwan Hiwin square linear , heavy loading, stable working, high precision, long life time use . 3. Whole seamless weld steel structure, not easy to distort , good rigidity, the machine can bear 1MT weight at least. 4. 3.5kw low noise constant power spindle and motor, hightly cutting capability ,high efficiency. 5. Well compatibility, compatible sofetware CAD/CAM, such as Type 3, Artcam, Castmate ,alphcam,Coredraw. 6. Double direction cutters cooling system can prolong the lifetime of using. 7. High flexility, uneasy distorted cable and imported electronic components guarantee the stablitity of operating the machines. solid wood, density board, furniture, wooden doors, wardrobe doors, cabinet doors, multi-head woodworking furniture carving machine. Cutting, line carving, punching, relief, etc. 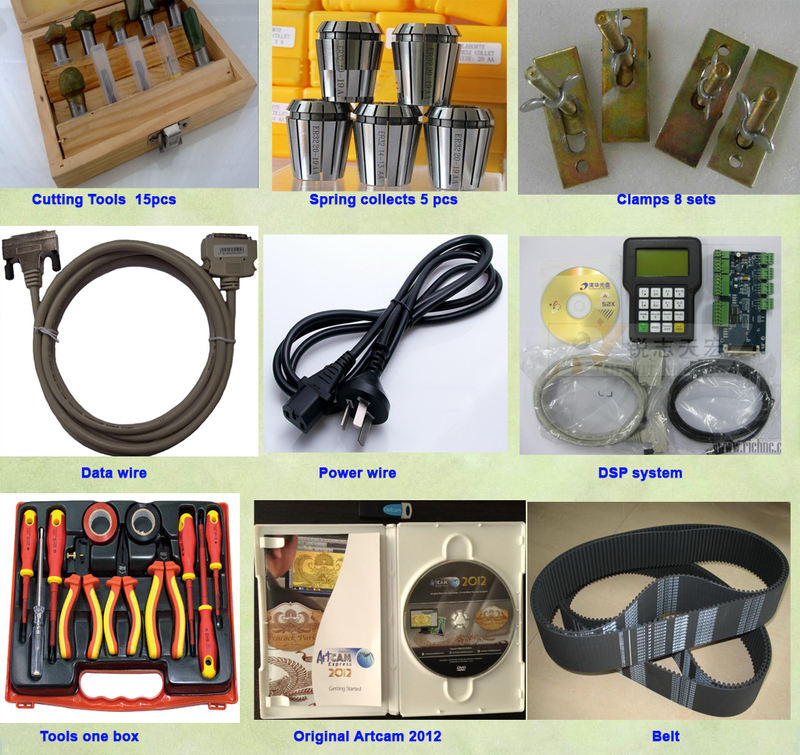 wood board, PP board, PE board, epoxy board, acrylic, dichroic board, high-light mini-character engraving etc. Euclidean Guitar Handle Material Engraving,Instrument fingerboard engraving; Bess electric guitar handle material engraving, Bess electric guitar body engraving, instrument polishing etc. jade, tombstone, ceramic tile marble background wall, mesa cutting/punching; stone handicraft sculpture relief, etc. 2. Large mold engraving machine: foam mold carving, PE,EVA mold carving, steel sculpture, wood mold carving, plastic mold carving, car,boat,bathroom gypsum mold carving. 3. 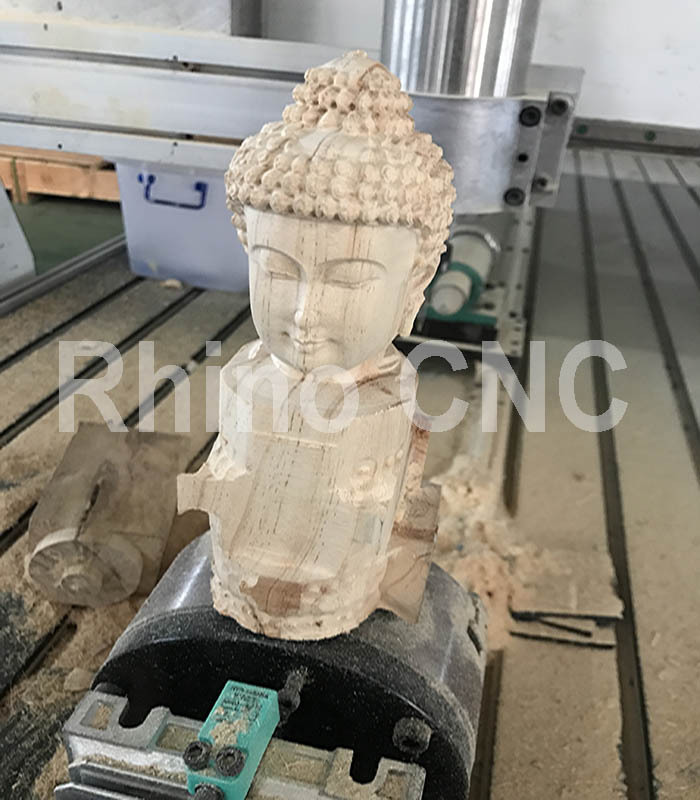 Four axis CNC Router machine: Jade carving; wood 3D carving; foam 3D/4D engraving, gypsum engraving, metal three-dimensional carving etc. 4. CNC center: woodworking cnc center, stone table processing cnc center, five-axis cnc center etc. Q1: What is production time of R-1530 CNC Router machine? Q2: I knew nothing about this machine, what kind of machine i should choose? A2: Just tell us what material you want to do by using CNC machine, then let us give you perfect solutions and suggestions. Q3: Who can help me transport the machine? A3: We can arrange the shippment for you. Just tell us which port is near to you, so that we can check the exactly freight fee and shipping time for you. Q4: How about your payment terms? 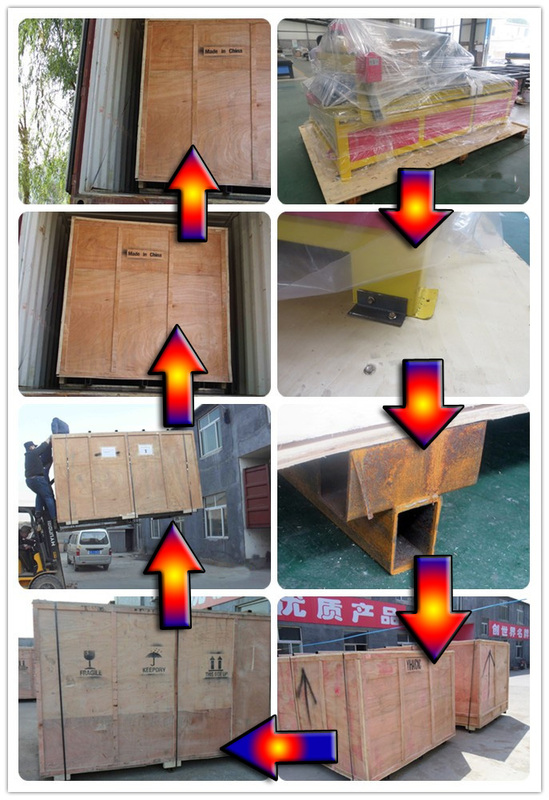 A4: You can transfer 30% or 50% advance payment to us, we start to make the machine for you, and when the machine finish, we will show video or photo to you, you pay the balance payment to us, here we arrange the shippment for you. Q5: When I got this machine, but I don’t know how to use it. What should I do? A5: We will send video and English manual with the machine. If you still have some doubts, we can talk by telephone or skype and e-mail. Q6: If some problems happen to this machine during warranty period, what should I do? A6: We will supply free parts during machine warranty period if machine have some problems. While we also supply free life long after-sales service. So any doubts, just let us know, we will give you solutions.